← Footloose, the Musical… the story and cast! 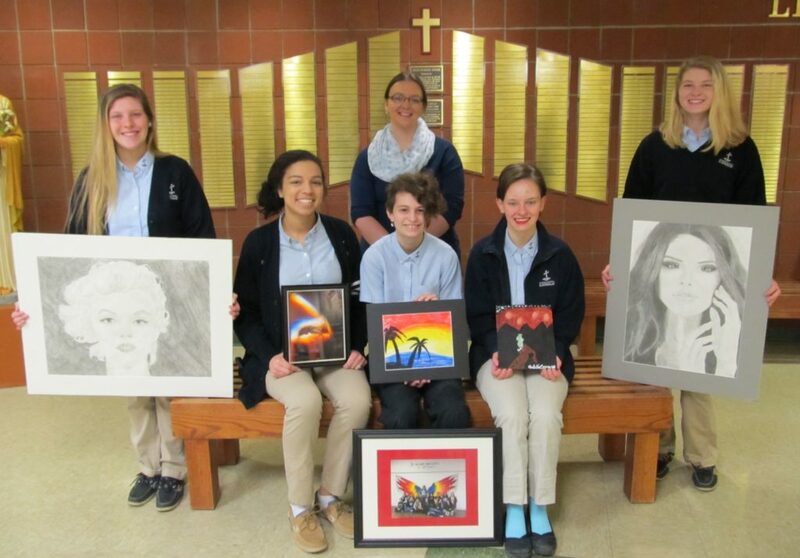 Over 60 pieces of student art work from students in grades 8 – 12 at DuBois Central Catholic have been selected to be featured at the Winkler Gallery in Downtown DuBois. The selection includes paintings, drawings, ceramics, stained glass and more. An opening reception will take place on Friday, April 5, 2019 from 5 to 7 p.m. at the gallery located at 36 North Brady Street. According to secondary art teacher Cheyenne Helman, all artwork will be displayed at the gallery through April 20…and some pieces may be listed for sale.